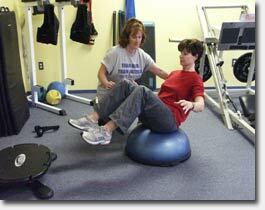 Are You a Trainer, but Feel as though YOU need a personal trainer? Personal – The need to improve their own personal fitness and strength; Very often trainers are great at figuring out what their clients needs are, but reach a bit of a roadblock when it comes down to the simple task of figuring out what to do for themselves. Often it is a matter of “having nothing left in the tank” when it comes to finding the motivation to help ourselves. This is not unusual, and Arleigh understands this and can help you narrow it down to what is truly needed to keep yourself moving! Professional – The need to improve the professional content of the programs and workouts they give their clients; Let’s face it – Arleigh has been around the industry for a long time, so she has had the chance to work with clients from all walks of life, at all levels of fitness, and with a variety of injuries/musculoskeletal considerations. Arleigh is available to trainers for “brain picking” in this respect, or to simply come up with some new and creative ways of working with their clients. Business – The need to improve the business and marketing side of their profession. Arleigh provides business coaching to individuals looking to branch out and develop their private personal training businesses. This information is available in a group class setting a few times per year, but is also available one on one to trainers who are in need of immediate marketing ideas to get their names out there. As an experienced trainer for trainers Arleigh Winokur’s expertise in helping all these aspects of a trainer’s world is well-known. Contact Arleigh now to discuss your own specific needs.